Fixed star Skat, Delta Aquarii, is a 3.3 magnitude green star on the right leg of the Water Bearer, Aquarius Constellation. The traditional name Skat comes either of two Arabic words. The Arabic word الساق (as-saq) which means leg or shin; otherwise the Arabic word شئت (ši’at) which means wish. 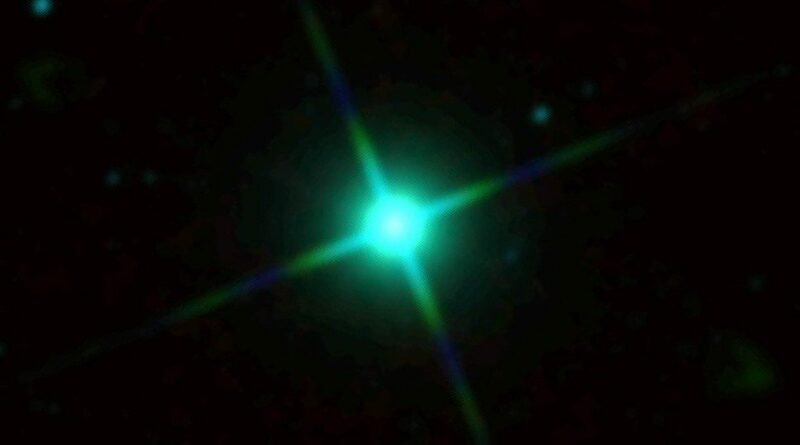 Skat, δ Aquarii, is another Saturn-Jupiter star by Ptolemy. Utter confusion surrounds the origin of the name, which looks like a Scandinavian rendering of Shat ‘Sheep’. There is no Arab record of it that way, however. Another guess has been Shak, ‘Shinbone’, since that is its location on the water-pourer, but that should be spelt Saq anyway, so that is not to be favored. Some Arab maps have been found to show it as Shi’at, ‘The Wish’, and that is probably the right answer. This causes confusion with the major star Scheat, β Pegasi, at 29° Pisces, however, so that, having found the most likely meaning now for the name, we do best to keep it spelt Skat. 1. Fixed Stars and Constellations in Astrology, Vivian E. Robson, 1923, p.28, 210. 4. The Fixed Star Health and Behavior Imbalance, Ted George and Barbara Parker, 1985, p.163. Received and very grateful thank you! Good Morning. what do you think about having moon at 19 piscis? This would be closer to fixed star Achernar which is also a much brighter star thus stronger influence. 19 Pisces marks the boundary between Aquarius and Pisces Constellations. 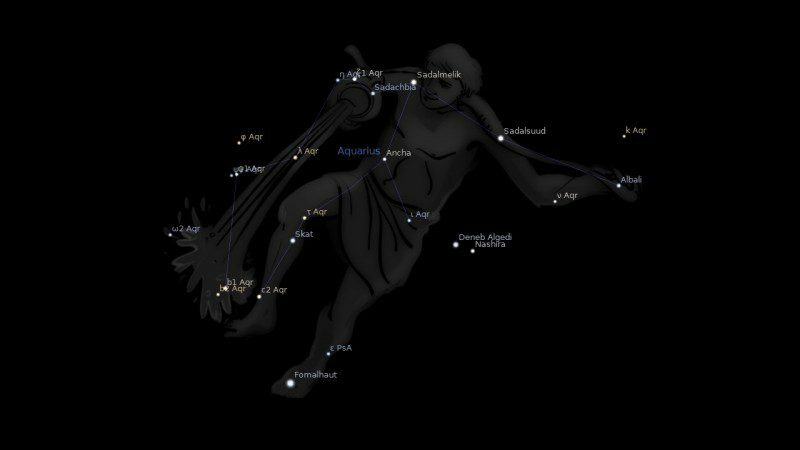 There are also some small stars there from Constellations Pegasus, Phoenix and Reticulum. With no strong influence from fixed stars the main influence on your Moon will come from any planetary aspects or even asteroid conjunctions. The March 2016 solar eclipse at 19 Pisces will be making you more emotionally sensitive until the September 1 solar eclipse. Your Moon now becomes very important in lifting you mood which Venus Saturn can depress. The top instep (initially) of my right foot had a pull which quickly transferred to an inner band of flesh between the base of the big toe and ankle from Dec. ’15 and bugged me intermittently till I resolved it with some special treatment on 15 Nov. This initial ‘pull’ was directly opposite the flashpoint of my 1st gout attack on the Monday of the 16th July, 1996 week. Would my ‘discovery’ of this Skat article be connected to changing/evolving energies in my life and the ‘solution’ applied ? Perhaps I’m moving on to the next level ? Wow, thanks. My sun is 8 35 pisces. Bam! Looks like this is my eclipse like it or not. I have had some edema in my right foot at the top of the instep for about ten years. Geez, I wish I understood what I could do with this skat info to resolve it in a positive way. Anyway, thank you for the good February interpretation. In true Pisces form, I was beginning to panic when I realized that eclipse was right on top of me. Would it have an effect if Uranus is opposite this star or does it only work for conjunctions. I am a writer. Only conjunctions work for fixed stars. Thank you for all your comments on fixed star. This is exactly what I was hoping for when I wrote these fixed star pages up. It is the comments that people will look to in years to come just as much as the old interpretations, perhaps more so.